The man who during his whole life loves the conversation of this yoke-mate fasting is a friend of chastity. Just as the satisfaction of the belly is the source of all evils, and as the slackness of sleep kindles the lust of fornication, so fasting, vigil, and wakefulness in God’s service by withstanding the sweetness of sleep through crucifying the body throughout the day and night, are God’s holy pathway and the foundation of every virtue. Fasting is the champion of every virtue, the beginning of the struggle, the crown of the abstinent, the beauty of virginity and sanctity, the resplendence of chastity, the commencement of the path of Christianity, the mother of prayer, the well-spring of sobriety and prudence, the teacher of stillness, and the precursor of all good works. Just as the enjoyment of light is coupled with healthy eyes, so desire for prayer accompanies fasting that is practised with discernment. When a man begins to fast, he straightway yearns in his mind to enter into converse with God. For the body that fasts cannot endure to sleep upon its pallet all the night through. Fasting naturally incites wakefulness unto God, not only during the day, but also at night. For the empty body of a faster is not greatly wearied by the battle against sleep. And even if his senses are weakened, his mind is wakeful unto God in prayer. It is better for a man to desist from his liturgy because of weakness due to fasting, than because of sloth due to eating. When the seal of fasting is set upon a man’s lips, his thought reflects with compunction, his heart pours forth prayer, gloom lies upon his countenance, shameful thoughts are far removed from him, cheer cannot be detected in his eyes, and he is an enemy of lusts and vain conversations. No one has ever seen a discerning faster enslaved hy evil desires. Fasting with discernment is a spacious mansion for every good thing; but he who neglects fasting makes every good totter. For fasting was the commandment that was given to our nature in the beginning to protect it with respect to the tasting of food, and in this point the progenitor of our substance fell. There, however, where the first defeat was suffered, the ascetic strugglers make their beginning in the fear of God as they start to keep His laws. 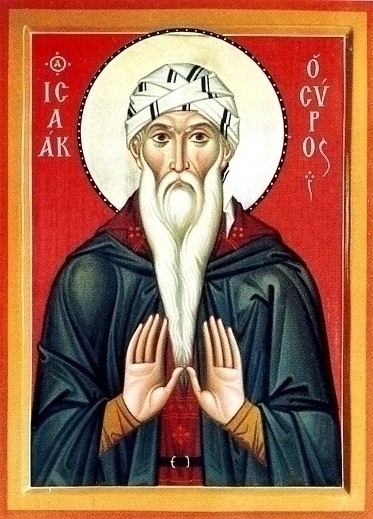 Source: St Isaac the Syrian, First Collection, from Homily 37.